Tiny text that can't be changed. Background textures that hurt your eyes. A font color with a low contrast to the background color, e.g. dark blue font on dark background. I guess we all have experienced websites that had a design like this, always thought it was there to hurt the visitor because I could not think of any other reason why someone would do things like that. IE Surfgear to the rescue. The tiny program adds three functions accessible through buttons to Microsoft Internet Explorer. Note: The program is no longer available. Internet Explorer users can configure options to ignore colors, font styles and sizes, in the Internet Options under Accessibility. Each button resolves on of the problems mentioned above. The first button automatically changes the font size of tiny text (and only of it, normal sized text will remain untouched) on a website to an average one, the next removes background colors of text on a website and the last removes background textures (including colors) that make text hardly readable. The author was so nice to add a live demonstration on his website where you can try the buttons and see what they do. The buttons should be available right away after installing IE Surfgear, if they are not you have to customize the Internet Explorer toolbar to add them (or only some of them) to it. Click on Tools > Toolbars > Customize to add the buttons to your toolbar if they are not displayed after installation. Funny side note. 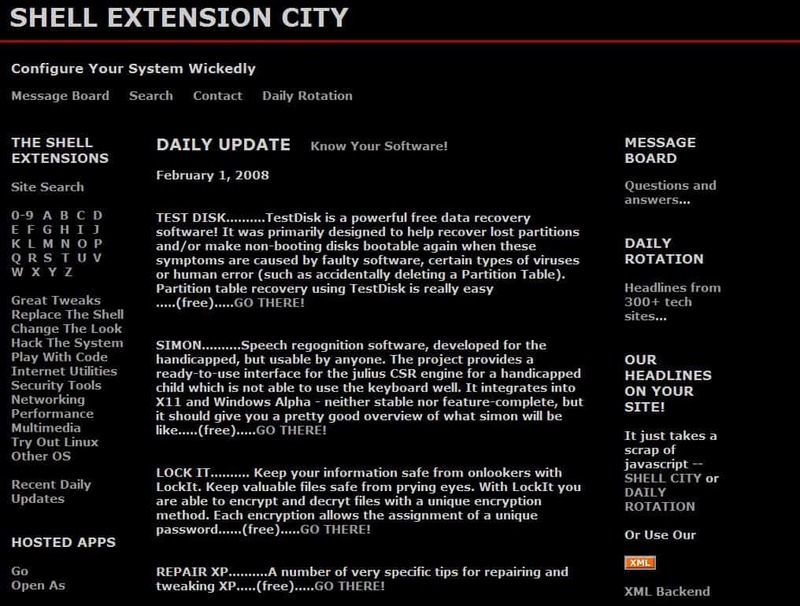 I did find the link to the program at Shell Extension City which is in my opinion a hard to read website with the black background and grey text. Take a look at the before and after (using the buttons) screenshots of the website. That's a visible difference, don't you think ? IE Surfgear is a small add-on for Microsoft's Internet Explorer browser to improve the readability of websites. This add-on is brilliant!! Its so easy to use and works perfectly. Some websites I’ve seen don’t want people to visit or you become blind after leave their website. This thing takes care of that FOREVER.